This entry was posted on Monday, March 5th, 2012 at 10:17 pm and is filed under Uncategorized. You can follow any responses to this entry through the RSS 2.0 feed. Both comments and pings are currently closed. I have problems replicating your example. which I deleted from the script. I would appreciate your help on this regard. One more thing, supposing I get the script to work, is it possible to use another command line in the script for saving the network generated in graphic format (PDF, PNG, etc) ? I think I forgot to mention that you need the command plug-in installed. 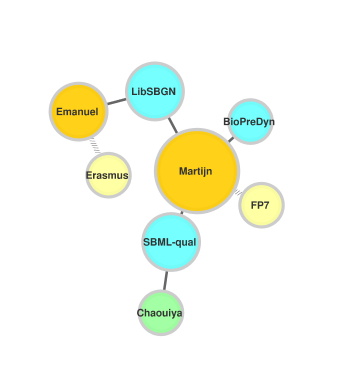 You can find it here: http://apps.cytoscape.org/apps/commandtool (also through the Plugin Manager in Cytoscape). Give it a try. This plugin will also add a command console, accessible through the plugins menu, where you can experiment with commands. For example, try opening the command console and typing “help network”.